Rostov-na-Donu Romance Tour. The Hotel. The Don-Plaza hotel is situated in the heart of Rostov-na-Donu on famed Bolshaya Sadovaya Street � near the commercial districts and shopping centres of the city. 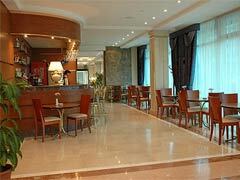 This 4-star hotel was fully renovated in 2003 and offers 240 guest rooms and conference center. 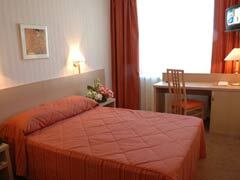 All hotel's rooms are spacious and tastefully decorated. 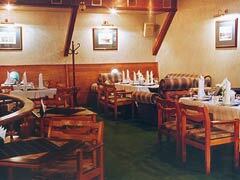 The Don-Plaza hotel is the city's favored venue for large events & conferences. The Don-Plaza hotel's interiors are modern and attractive. A panoramic view over the river Don and historical center of Rostov-na-Donu is opened through the windows, which allows the guests to start the acquaintance with the city directly from the guest room. 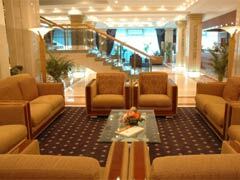 This hotel offers both comfortable accommodation and excellent service assuring your stay in Rostov-na-Donu is both enjoyable and hassle free. 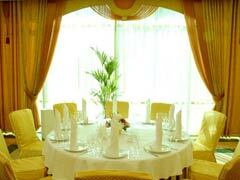 The Don-Plaza Hotel offers their guests the following dining options: restaurant Aztek, restaurant-bar Mein Herz, restaurant Golden Hall and Lobby bar. 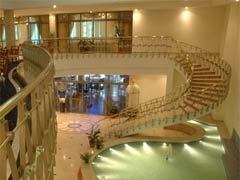 The Don-Plaza hotel will help to make your stay in Rostov-na-Donu truly enjoyable and a memorable one.